Posted on September 20, 2014 by IASUS_CONCEPTS wrote in Product. It has 0 Comment. The STEALTH development program is the first product IASUS has developed in conjunction with direct feedback from IASUS users. It was intended as a new experimental open method of designing products that has never been seen from consumer electronics companies as it is very difficult to incorporate all the feedback and be able to change design path that had been already been put in motion. The IASUS STEALTH, a bluetooth stereo communication headset that utilizes IASUS throat mic technology is hand built by our in house engineering personnel as it has a fairly complex design that is difficult to execute under low volume mass production parameters. This tedious method of production however, does allow us flexibility to incorporate significant design changes, and we have taken full advantage of this with the STEALTH PILOT program. The IASUS stealth is powered by Bluetooth 4.0 technology for advanced bluetooth fidelity audio playback along with sophisticated headset functions like dual device pairing and voice commands. 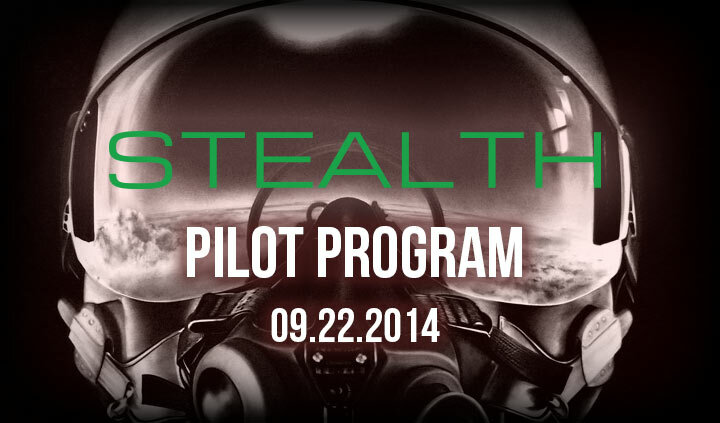 This STEALTH PILOT PROGRAM is our limited pre-production test units which we are offering to select customers for development or evaluation purposes. The PILOT units have undergone extensive modifications from our beta units based on our own testing in conjunction with beta tester feedback. As a result, we have redone the software and programming to incorporate voice command through “SIRI” and “Google Now”. In order to do this and to maintain our minimal 3 button design we had to reconfigure the OS and start from scratch. In addition, we have also made changes to the durability of the headset to make it even more robust than the beta units. So why are we offering this program? Since we virtually, redesigned the entire OS for this headset, we wanted to ensure there are no software or compatibility issues prior to production and our applications for bluetooth license and FCC / CE approvals which will take time and resources to obtain.